You see, Cleopatra belonged to a neighboring photography reserve. Every time this lioness came into estrus, she would break through her fence line and go and sit on the fence line of the White Lion territory, where the White Lion pride would be waiting to meet her. For the entire time, she was estrus she would not feed, refusing to leave White Lion boarders. She did this consistently for six years until the owner of the photography reserve tired of having to collect her and finally granted her, her wish. 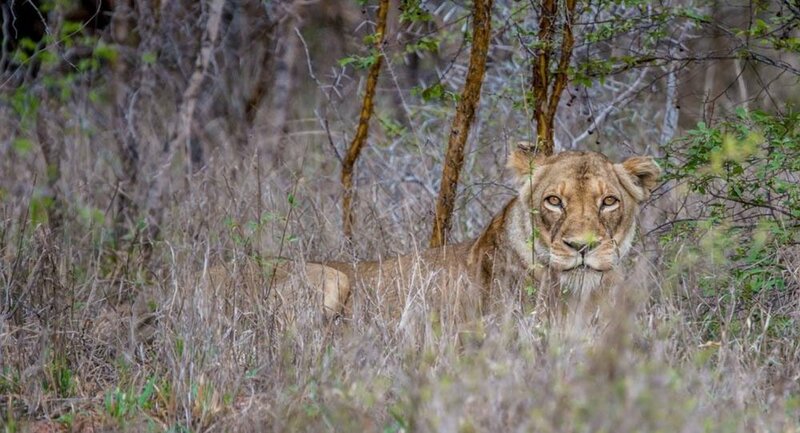 A month before I arrived, she had been taken into White Lion territory and was being integrated with the other lioness in the pride - a delicate and sometimes dangerous process. I got to witness this relationship bonding time between these two beautiful lionesses, and I am happy to say she is now fully integrated into the pride and has partnered with one of the male White Lions. When we commit to walking a divinely guided path, to fulfill our soul purpose in life and to act from a place of service, life tends to throw up challenges. It is a process that requires courage and a willingness to keep showing up, trusting the wisdom and calling of our own heart. Any time I feel overwhelmed, I think of Cleopatra's story and her willingness to show up time and time again for six years, and I think to myself: 'I've got this'!